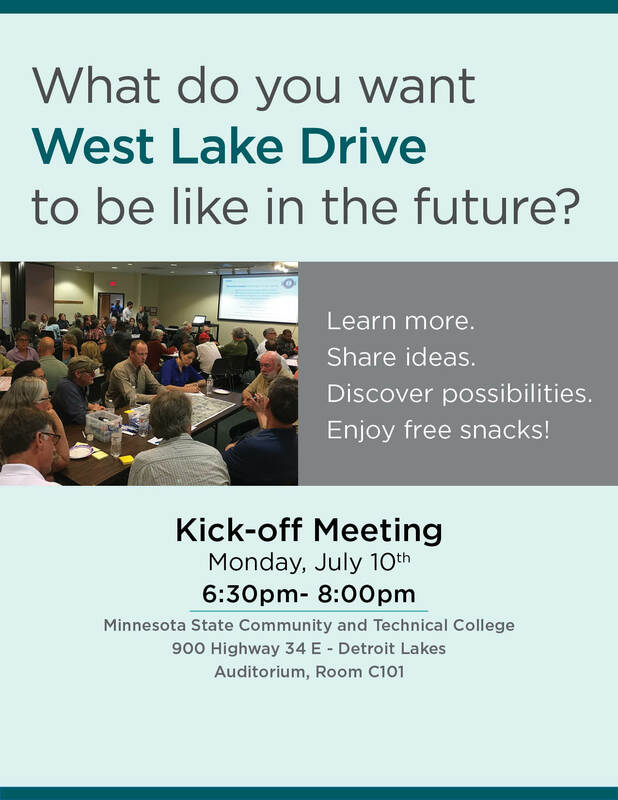 Thank you to everyone who participated in the Kick-Off Meeting on July 10th for the West Lake Drive Study. Over the next few weeks, we will be summarizing the input to date. Meanwhile, please complete the survey. We want to hear from you! The design team will return on August 1st and 2nd to explore ideas for the future. Stay tuned for updates. We want to thank all of the participants of the focus groups who discussed topics surrounding Detroit Lakes. We look forward to more great conversations about the future of Detroit Lakes. Detroit Lakes values its Business Corridors as integral to the economic success of the community. In 2008, the City of Detroit Lakes undertook a Business Corridor Study in response to a major realignment of US Highway 10 through the City’s downtown. To capitalize on the opportunities it generated, the study provided a vision for future development to guide public and private decisions regarding corridor redevelopment. Since the study’s adoption, significant progress has been made towards implementation. To build on these efforts and ensure that the information remains current, the City is updating the plan with the help of RDG Planning & Design, focused on West Lake Drive and the neighborhoods around it. To ensure that the plan represents the vision of those who live, work, and play in the area, we encourage you to share your opinions and join in the public participation process, consisting of a community questionnaire and numerous interviews, workshops, and public meetings. This input will be joined with the analysis of existing conditions to develop a framework for the continued transformation of downtown. Learn how to participate or contact us directly by visiting the "get involved" tab. You can also learn more about the process by exploring the project website which will remain current throughout the process.